The WNBA Playoffs begin tonight, and coaches should take advantage of the learning opportunity these games will provide. Coaches spend the off season looking for ways to develop, improve, and learn. What if I told you that you might be missing out on the best bargain in basketball!?! For only $16.99, you could watch some of the best coaches in the world 204 times? 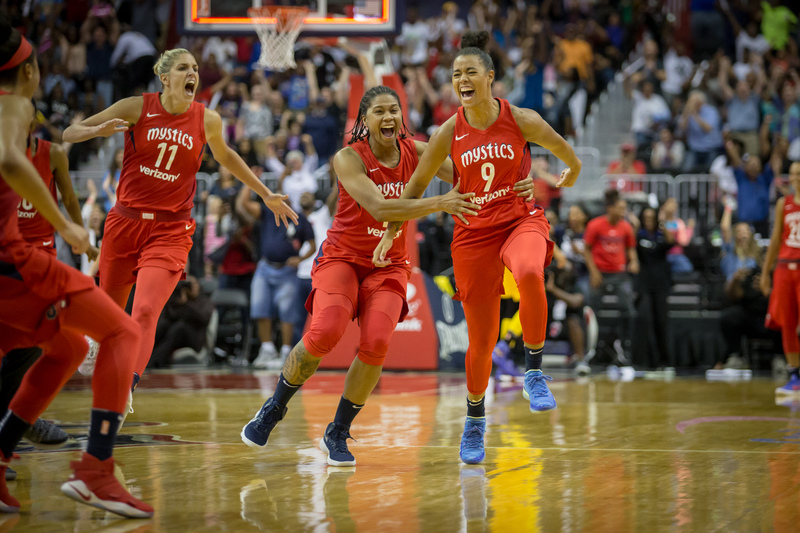 Yes, WNBA League Pass is only $16.99 for the entire season – that’s just over eight cents per game for terrific basketball! While this option is available, too many coaches are not giving the WNBA the respect that it deserves. There are some tremendous XsOs being put on display in WNBA games. The action is uptempo, players are skilled, and more coaches should be tuning in. Furthermore, all coaches should be encouraging their players to watch WNBA basketball! The WNBA Playoffs tip off tonight (8/21) with both first-round single eliminations games airing live on ESPN2 at 8:30 and 10:30 ET. The Finals will take place the first week of September. Check it out! Below are some of my favorite plays from the WNBA regular season. Click on a play to read full description and to download it to your FastDraw library. The Dream have have scored multiple times using this wrinkle at the end of Floppy action. The weak side back screen has resulted in many layups, and the screen-the-screener pin down has also created open looks. 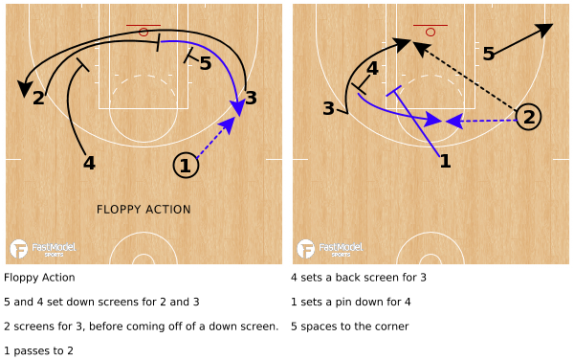 The Mercury ran this ATO to get a wide open three for the great Diana Taurasi. This has multiple options which makes it very difficult to guard. The pistol acton with a weak side flare is a nightmare for the help defenders. The Mystics used this BLOB set to get Elena Delle Donne an uncontested game winning-three. The double stagger screen sets up a screen-the-screener action for a shot at the top of the key. 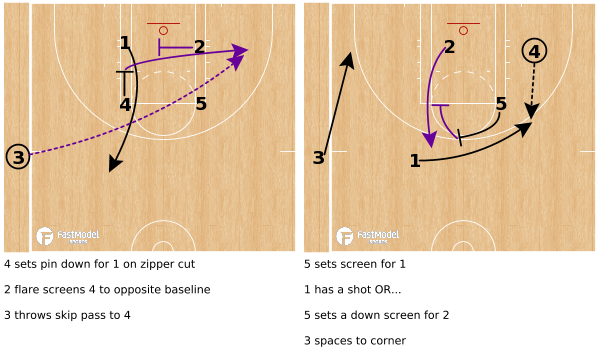 This BLOB set has different looks and would be a nice addition to any coach’s baseline series. The Sky are 3rd in the WNBA in 3PT FG%, and this set has resulted in numerous good looks. Even if it is guarded well, the action flows right into an invert ball screen, which is what happened in the clip below. 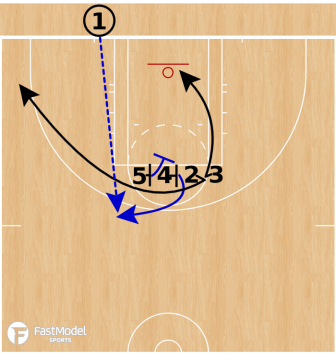 This play is named “Winner 2.0” because it is similar to the popular “Winner” set that Brad Stevens has used in the past. This set uses a zipper screen, to set up the back side flare and skip pass. The play has the screen for the shooter, and actually features a second screen (shooter was wide open in the clip).